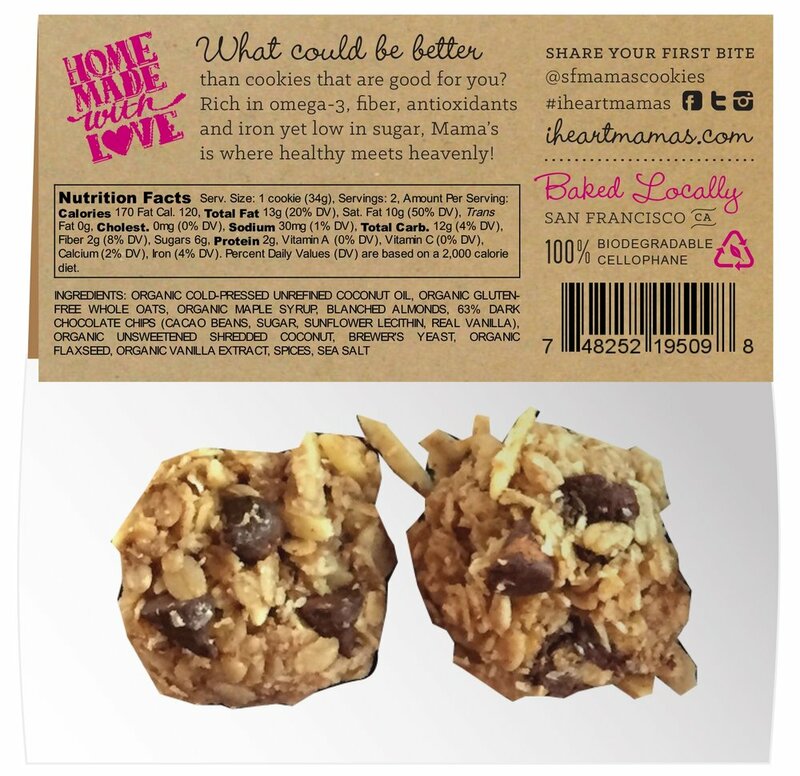 Handcrafted in small batches with ingredients you can pronounce, Mama's Cookies is where healthy meets heavenly. Gluten-free, vegan and low-glycemic, Mama's secret recipe has attracted a diverse community committed to nutrition and self-care. 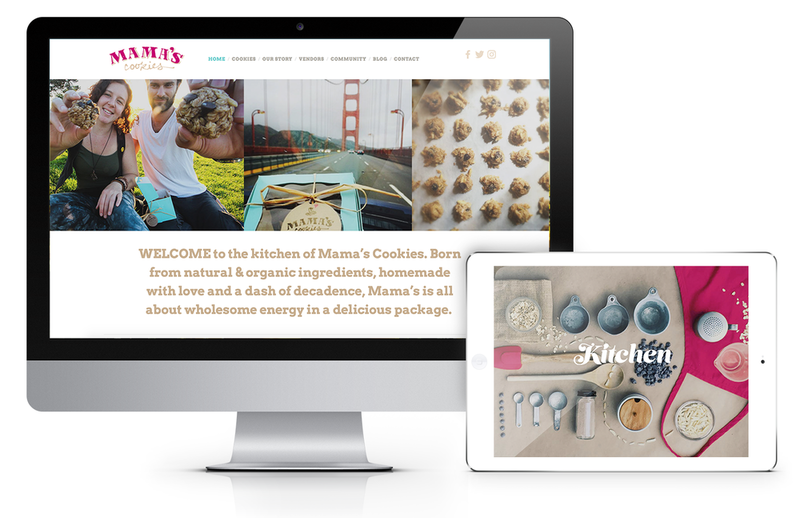 We wanted Mama's brand to be homemade like the cookies themselves. After many iterations, we settled on a logo drawn by hand and heart. The emblem was stamped onto Mama's hangtags for a double dose of human touch, and conveys the personal connection made with every customer along their journey to wellness. Having witnessed firsthand the dire state of women's health and domestic violence in Uganda, Mama's Cookies founder Colleen Yerge jumped at the opportunity to share 5% of her profits with OneMama, a nonprofit supporting mothers in that region. With small businesses like Mama's, we seek to inform and educate. We guided Colleen through the strict FDA requirements for food packaging and labeling, ensuring that each cookie's bag topper communicated with customers effectively and promoted Mama's social and environmental missions. In our experience, it is often the unexpected entrepreneurs who do the most extraordinary things. When we bravely set forth on the path less traveled, the universe conspires in our favor. We are deeply honored to help heroines like Colleen find their place and calling in the world so that we can create the greatest good for people and planet.